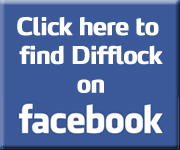 Difflock :: View topic - Around Worcester? Posted: Tue Jul 16, 2013 4:45 pm Post subject: Around Worcester? We're off to Worcester soon and was wondering if anyone knows of any decent attractions around the area... I notice that Cardiff is only 1-1/2 away... that's s'pposed to be nice! If it's a week day and you pre-book, Morgan motors in Malvern welcome visitors. Eastnor's not far and you might be able to get a late (cheap?) LR Experience session...? Severn Valley Railway at Kidderminster. Broadway and Broadway Tower Country Park. Evesham is nice for a walk around town and the river. Ditto Tewkesbury, which has some good pubs. Gloucester and the Docks, including the National Waterways Museum. Worcester itself has some very good Museums, especially The Commandry, and some nice walks along both the river and canal. If you do go to Gloucester Docks. Take a look at the stationary diesel engine they have there. Even better if you can see it running. Cheers all... I'll have a ponder on all of those. We're off to the CLA but don't want to spend a whole 3 days there. For some reason I don't receive reply notifications anymore, wonder why? You must have switched it off in your profile.